Meet These 3 'Beauties With Brains' Who Cleared Their CSS Exams And Became Idols For Pakistani Women! 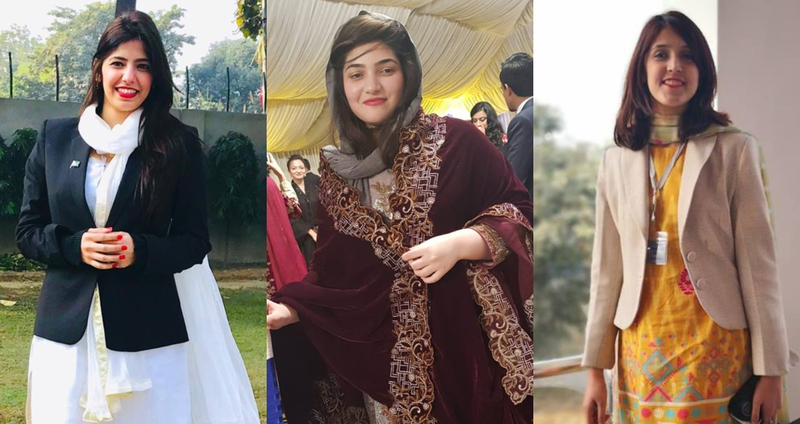 Meet These 3 ‘Beauties With Brains’ Who Cleared Their CSS Exams And Became Idols For Pakistani Women! Bureaucrats, who get into service through the Federal Public Service Commission (FPSC), after clearing their CSS exams, are often known as the creme de la creme of the country, the finest of the finest, the best there are! What is considered to be the most mammoth competitive exam in the whole country, is aced by the likes of normal people, who put all their worth, heart and energy into and reach their goals. With their successes, come stories that are either inspirational or extremely motivational! Thanks to Humans of CSA, a Facebook page that shares stories of the bureaucrats-to-be, training at the Walton Academy in Lahore, many such stories have come to light and today, we’re going to highlight 3 ‘beauties with brains’ from the 46th Common, the same batch as Awaid Irshad Bhatti, the guy who left his dream job for CSS and topped Pakistan. 1. Fatima Saima Ahmed (PAS) – Pakistan Administrative Service, 46th Common! I am an engineer by qualification and was serving at Pakistan CAA prior to joining this esteemed service. Where for one I was used to quite a hectic lifestyle working and studying at the same time, what was really different for me was that I delivered a little baby boy just 2 weeks prior to joining our training. Little Yusuf, along with my family traveled with me and my son lived at the hostel for a little more than a month after my family left following the commencement of training. I used to stay awake the whole night playing with my baby and spent days participating in class and training activities. Though I was mentally very happy, I found it very strenuous, physically. I had many weak moments, especially after my little baby had moved to live with my parents. In a nutshell, I can say that CSA has taught us discipline, compassion, and love. I know that I will leave CSA a much stronger, more compassionate and humane person than I ever was before. 2. Marryam Fazal (PAAS) – Pakistan Audits & Accounts Service, 46th Common! When you start preparing or thinking about CSS it seems like a deep dark valley of 12 monster demon papers that you have to fight against. You are unequipped like a zero preparation chicken nugget who lives under a rock. Fast forward six months and you are sitting in the exam hall taking those papers. It’s two papers a day so you don’t have much time to think but once you are done with exams you realize it’s not about passing papers or memorizing XYZ amount of information rather it’s about the journey of seeing how much hard work and dedication you invest in something you want. Standing on the other side, you will realize it’s not about knowing answers to all possible questions, it’s about having faith in yourself that you can rise above all difficulties. What you want is out there and one day by the will of Lord you will achieve it. Since the day I cleared CSS exam, people have been asking me about preparation shortcuts, what books to go through, etc. and the answer to this frequently asked question is the most cliched one: I want you to read it loudly, time and again that THERE IS NO SHORTCUT TO SUCCESS. 3. Dr. Hina Sikandar (PG) – Pakistan Postal Group Service, 46th Common! When asked the question What’s Cold War? back in October 2016, I answered it to be some war fought in winters. That’s where I stood and fast forward 2-3 months, I appeared in CSS exams and passed it in my maiden attempt. I have always been a blessed person; have had an excellent academic career all my life, excelled in speeches/debates and other co-curricular activities as well. Allah has always been very kind to me, Alhumdullilah. I am (rather “was”) a dentist by profession. I was doing my house-job when I came across the idea of doing CSS. I was lucky enough to find a sincere friend who guided me throughout. (Thank you, Abrar!) My preparation during these 2-3 months was very unconventional. Now people ask me which subjects to choose, which books to follow; I can never give them the right answer. I, almost, ‘randomly’ chose the subjects who I thought were interesting, least aware of the scoring trends. I actually didn’t study from any book at all. I joined no academy, went to no teacher, took no mock exams. It was just me and my laptop for those 2 months. I believe It’s not about the quantity of time you give to your preparation but the quality. With limited time (I was doing my house-job along with too), an unending course to cover and absolutely no background knowledge of whatever I was studying, I never gave up. I strongly believe in “Law of Attraction”. I have faith that your optimistic energies bring positivity in your life. Studying for CSS is never a failure, even if you don’t pass the exam all 3 times. I have always been an inquisitive soul and to come across a vast array of information I was never exposed to, I was in my own heaven. Learning all these new things changed me, for better. And now, Life at CSA is like a dream coming true. I always wanted to be amongst people with such diverse backgrounds. I enjoy every bit of it; the freezing cold foggy physical training sessions, hassle at the mess, running for biometric attendances, never-ending lectures, the subjects which are alien to me, ‘love letters’ aka violations; I enjoy everything. I wouldn’t trade it for the world. My advice to the aspirants is to Take a chill pill! 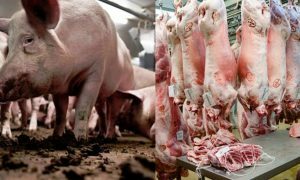 It’s not as horrendous as being portrayed. You don’t need to torture yourself! Take a deep breath, prioritize studying for your mental growth, not only for the exam. Provide yourself with the opportunity to enjoy your journey towards CSA; It deserves it. Be curious! Be happy! Be grateful! 10 Of The Best Boarding Schools And Colleges In Pakistan That Produce Talented Individuals! OMG! You Can Have A Dreamy Destination Wedding In Pakistan And Totally Forget About Having To Travel Abroad!